A bulb is made from fleshy leaves or leaf bases and usually have concentric rings of scales. They often have a dry outer layer as found on daffodils and tulips. Corms are made from the swollen bases of stems and are replaced with new ones annually. They tend to have an outer layer formed from last year's leaf bases as on gladioli and crocuses. The word tubers or tuberous applies to any plants with swollen, misshapen stems or roots that store food such as some types of orchids and cyclamen. 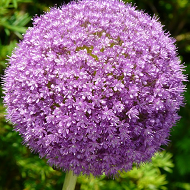 Tubers are often mistaken for other such bulbs and vice versa. Rhizomes are swollen, horizontal underground stems as seen on irises and cannas. The use of bulbs in a garden is almost paramount to any good display. Bulbous plants provide an array of displays from formal beds to mixed borders and in containers or underneath trees. Some bulbous plants are known for their grand foliage, others for their wonderful scent but almost all for their wonderful flowers. 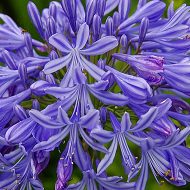 These flowers appear in all manner of shapes and sizes but it is their extensive range of colour that makes them an absolute necessity in any garden. Once planted bulbs can be left to find their own path through the existing planting. Natural drifts of colour can be seen through plants, adding touches of colour and body to sections of your garden. Bulbs planted next to trees or in grass are extremely effective in many ways as are bulbs planted in rock gardens and water gardens. A bulbous plant can really accentuate a tree especially in autumn when the leaves have fallen off and the tree is bare. Matching up the colour of your plants with the tree's blossom or fruits acts as a mirror image-like reflection that is aesthetically pleasing to the eye. Bulbs generally provide visual grandeur for one season only, laying dormant and unnoticed for the rest of the seasons. With careful planning and visualisation of your garden you can plant species next to each other that will flower at different times of the year, thus creating a continuous flow of flowers throughout. Bulbs can be left to grow naturally as any dying foliage will be hidden by the foliage of the living plant next to it. Bulbs thrive in many conditions depending on their species and cultivars though most prefer well drained soil. Always check when buying which conditions your bulbs most prefer so that you can site them correctly in the garden. Check the height and growth rate too as this will make planning your garden easier. Preparing the soil in which the bulbs are going to be planted is essential for good growth as is buying good, healthy stock. Bulbs generally come in dry form although some varieties may be moist and have root growth. Try to always buy fresh bulbs, this may require a little research into what time of the year is best for the variety you are buying. When planting bulbs in a formal bed it may be beneficial to design it first. 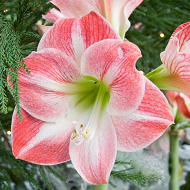 Height is an issue as is colouring so it is important to know which bulbs you will be putting in before you start. Planting in blocks of colour is always a good idea but you can vary the way you do it. A splash of colour from the same bulb can be extremely effective but to create a longer lasting effect try choosing different bulbs of the same colour. This way the effect will have a constant change of height and growth and will continue throughout the year. You can either fill the bed with bulbs or insert other types of plants in between. The colour scheme you choose could be regimented into blocks or a more naturalistic mesh of contrasting hues. Use bulbs to create a splash of colour during particular seasons or to draw the eye to another level with the different use of heights and flower growth. Carpet bulbs and dwarf daffodils will accentuate the edges of any border whilst tall daffodils and tulips will lift to it. 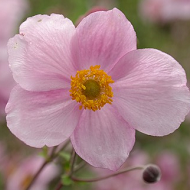 Plant bulbs through ground cover plants so it appears the flowers are simply hovering above the foliage beneath. Bulbs can be grown in pots, containers, troughs and window boxes. This method is effective as it allows you to plant a wider variety of bulbs that all prefer different conditions. Some bulbs may prefer different soils, other may need more sun or shade and some may need different pHs. The use of pots and containers allow you to alter the conditions in which your bulbs are in to produce the best flowers and growth. Plant in varieties or mix them up to create different displays of colour and height. Ensure the varieties you have chosen for your windowboxes are suitable for which way your window is facing. Contrast in flowers and foliage can be achieved by planting bulbs in a rock garden as alpines are low spreading plants that flower in late spring. Bulbous plants can be used to extend the visualisation of the rock garden and to add height to it. Use dwarf bulbs that will complement the colour scheme of your alpines. When planting in grass choose strong species that will hold their own against the grass roots. Plant in areas you wish to look meadow-like as the tall grass and swaying splashes of colour from the plants will help you to achieve this look. Remember to plant accordingly so that the plants have flowered before the grass is due to be mowed. Plant dry bulbs as soon as you buy them to promote quick growth. Potted bulbs can be planted any time in the season after being bought or simply leave to die down and plant as dry bulbs. It is a gardeners prerogative to choose how they would like to start by planting their bulbs. Each of us find our own way of doing it. Try to steer clear of regimented planting lines however just in case some do not take, otherwise you will be left with gaps. Easiest way is to take a handful of bulbs either same variety or mixed and scatter them over the area you are planting in. When they are all on the ground space them out a little but try to plant them where they landed. This way you will end up with a naturalistic feel to the space. When using bulbs of different varieties that may grow to different heights it might be an idea to put the tall ones at the back. 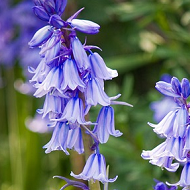 Also if your varieties flower at separate times of the year they may need a bit of jiggling. Dig large holes and plant a few bulbs in each, or dig them in separately. 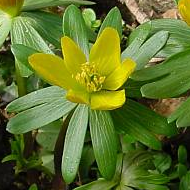 Plant with two to three times their own depth in soil and two to three bulbs width apart. Ensure the bulb, corm or tuber is planted the right way up (growing point uppermost), obviously in some cases this may be more difficult to tell as they are not labelled! If in doubt plant on their sides. If planting in pots, containers and troughs ensure adequate drainage, correct soil type and add nutrients if needed as required by the bulb. Once in the correct environment bulbs are pretty low maintenance. Keep an eye out for pests and diseases, dead head as needed and remove dead leaves. 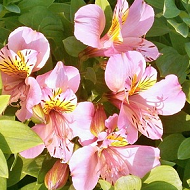 If flowering is poor it may be that the plants are overcrowded, dividing and replanting some is easily done. Some varieties may need planting when in root growth, others when they are dry. The planting regime is the same as with dry bulbs, just ensure to allow room for the roots. Cyclamen however like to grow nearer to the surface and do not need to spaced out so much either. Bulbs produce offsets or bulblets that are easily propagated. Bulbs can be propagated from seed that will produce a larger stock, but this may take more time as some may not flower for years. Separate the offsets annually when they are formed from the parent bulb and pot them up. Keep them in a cold greenhouse for a couple of seasons before planting them. Bulblets may be pulled or cut from the parent bulb and inserted in trays in rows. Space them out and cover with compost. Grow in the shade and keep them moist. Bulbs can be propagated from seed and will produce a larger stock, but this may take more time as some may not flower for years. To propagate from seed keep an eye out for signs of splitting as the seed may fall out quickly. Take out the seeds and keep in paper bags to dry somewhere naturally. Sow in early autumn or sooner if ready, in plastic pots as they will retain the moisture better. 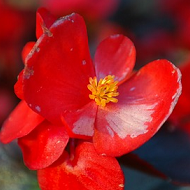 Keep moist in a cold greenhouse until they show signs of dying then stop watering them. Commence watering when new growth appears and refrain again when it dies down. After two seasons repot the seedlings. Keep them in pots for approx 2-3 years so they can build up the strength they need to go outside.